Our goal with Catoro Cafe is to not only help rescue cats to find homes, but to also connect with our guests on an emotional level by making spending time with animals an easy and accessible thing to do within modern urban living. It has been shown from 22 studies that there are links between pets and the psychological well-being of children. Many of these studies concluded that growing up around pets is linked to having higher self-esteem, cognitive development and social skills. 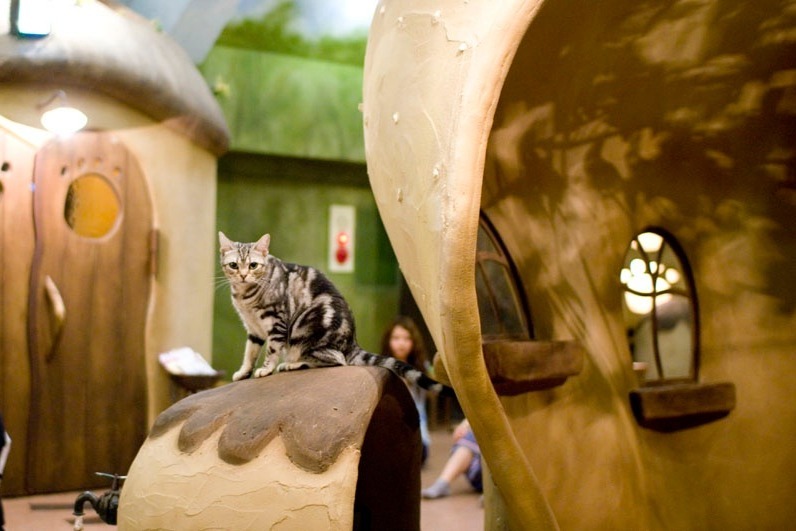 While we hope Catoro will serve as an neighbourhood institution for children who may not be able to own pets for various reasons, we even more so hope to bring in many adults who may have lost the child-like wonder and amazement for being close to animals. Aside from owning a pet yourself, it is rarely an easy and accessible activity to visit a zoo or a petting farm in our day to day lives. We wish to bring this important, stress-relieving activity closer than ever so that people can incorporate visiting us in their everyday lives. The brand we have created with Catoro tells a story of a forest guardian and its companion that are on a mission to rescue the helpless and homeless cats lost within a mysterious forest. We hope that the story we tell will connect with children and put a more welcoming and approachable narrative around the importance of rescuing animals and adoption. We believe that small businesses like Catoro are an integral part of any community. Innovation, integrity and social responsibility should always be at the forefront of any business rather than profits. There are four partners in this project: Nathan Chan, founder, entrepreneur and cat lover, Luke Mochizuki, with over a decade of experience as a partner at Vancity Credit Union and being an expert on creating inclusive communities, Lisa Wong, with experience in early childhood education, and Leo Chan, a business guru and fellow cat lover. 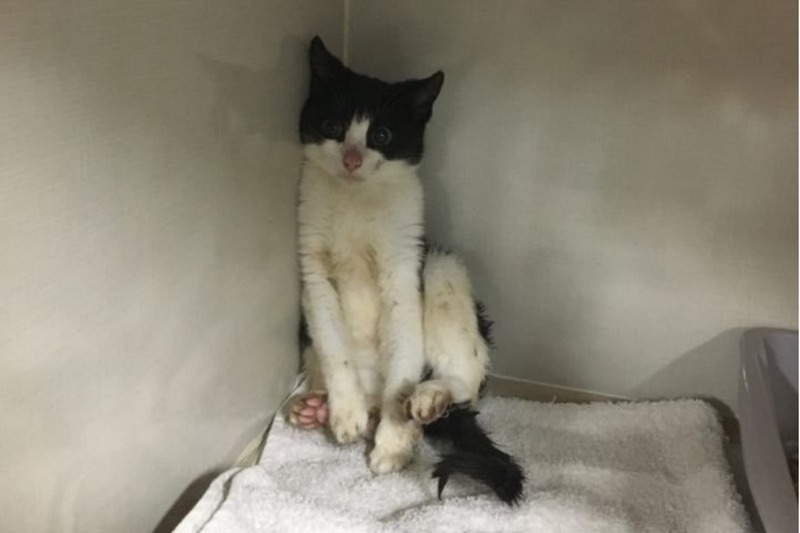 Our rescue partner is Cat Therapy and Rescue Society, who specialize in special needs cats, cats from overcrowded shelters, abandoned cats and owner surrenders that are at risk of euthanasia. And our building partners are Imagination Corporation and Hudson Construction. As our project is quite large and complex with the store design and permitting, we unfortunately need to push our opening date to early summer of 2019. We want to make sure that what we build is safe and sanitary for cats as well as for our guests. That is our number one priority. We cannot express enough of our appreciation for the support the community has shown to us so far and we are so excited for everyone to visit once we are open. Please see below some of the early renderings for what Catoro will look like! You can also visit our GoFundMe page for early access tickets and promotions. All donations go to building the facilities, equipment and supplies for the cat shelter within Catoro. There is a national crisis of feline overpopulation across Canada. It was estimated in 2012 that there is one cat to every three humans in Canada. In addition, there are at least 600,000 stray cats roaming the streets. 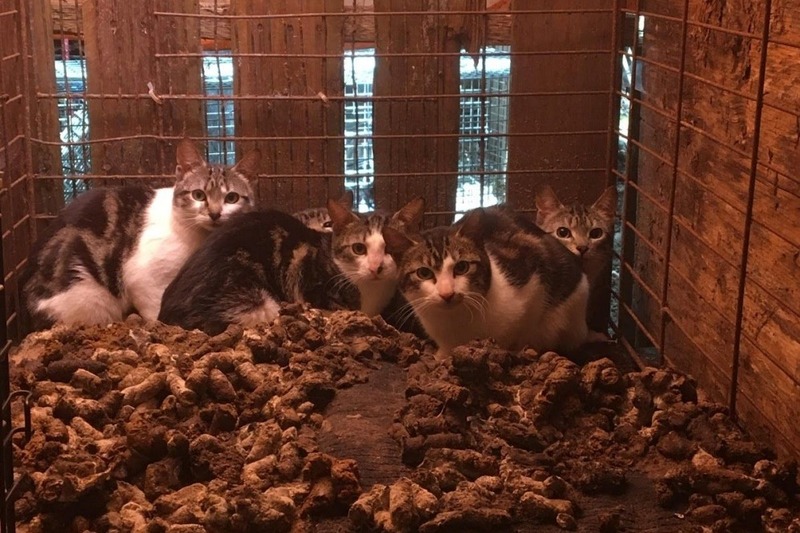 The problem with most cat shelters is that they don't have enough exposure and they aren't perceived to be particularly attractive in the public eye. The purpose of this GoFundMe page is specifically for us to build a safe, functional and sanitary shelter for the cats within Catoro Cafe. These are based on the recommendations of CTRS and the Provincial Health and Safety Guidelines outlined by the SPCA. Below is a short list of equipment that we require to keep the cat room sanitary as well as keeping all the cats healthy and well. 100% of your donation will go towards purchasing these items. We plan to have a long term partnership with CTRS and develop a local community rescue space that can expand to help more cats in the future. As a BONUS, we will have few added gifts for those who support the campaign. We thank you for your time in reading this and your support for our cause! 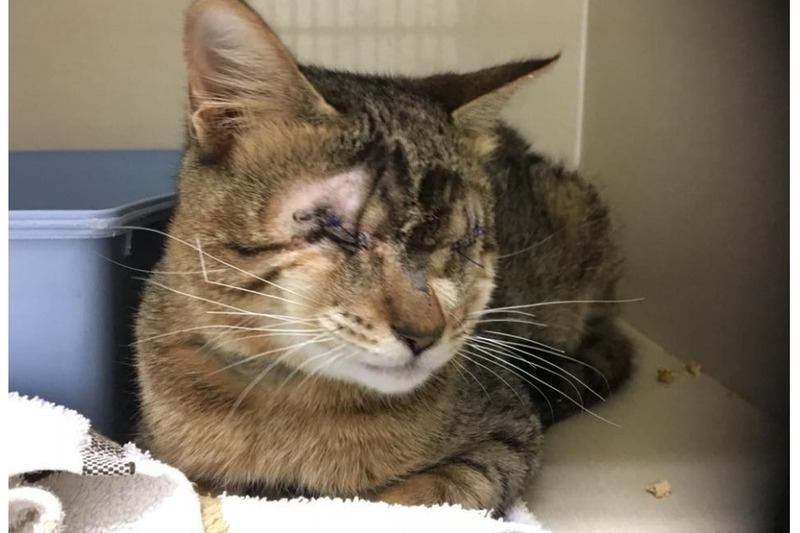 Mr Lulu came to us with very damaged eyes and was already blind, he unfortunately needed what was left of his eyes removed to be able to live pain free. He was then later adopted to a very loving family with his girlfriend Sakari. 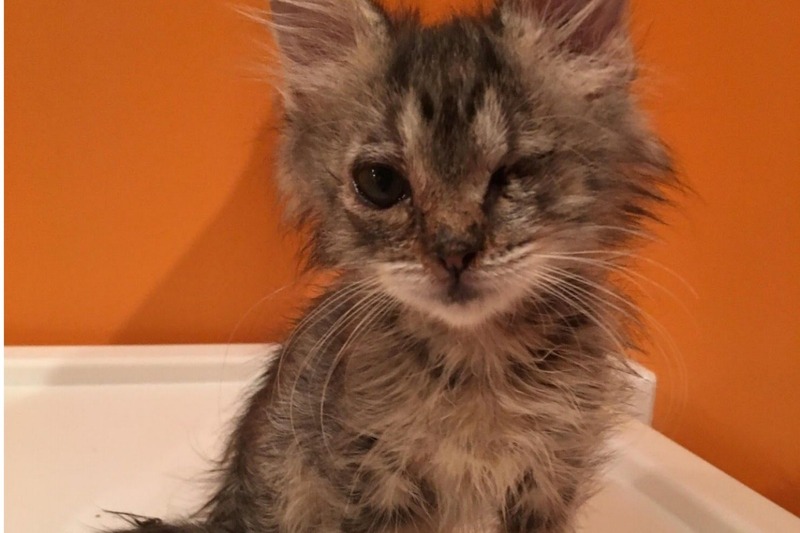 This sweet girl was found with a badly mangled leg on the streets at only 5 weeks old! 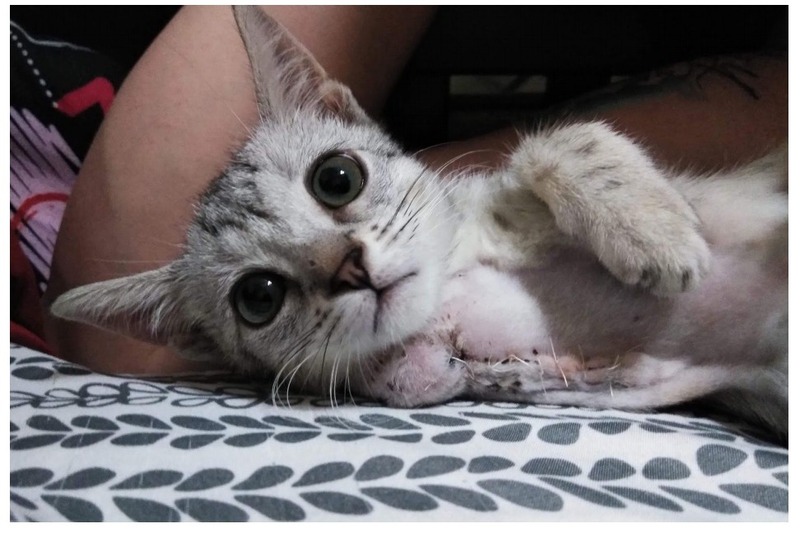 She needed an emergency leg amputation as it was already badly infected and was beyond repair. 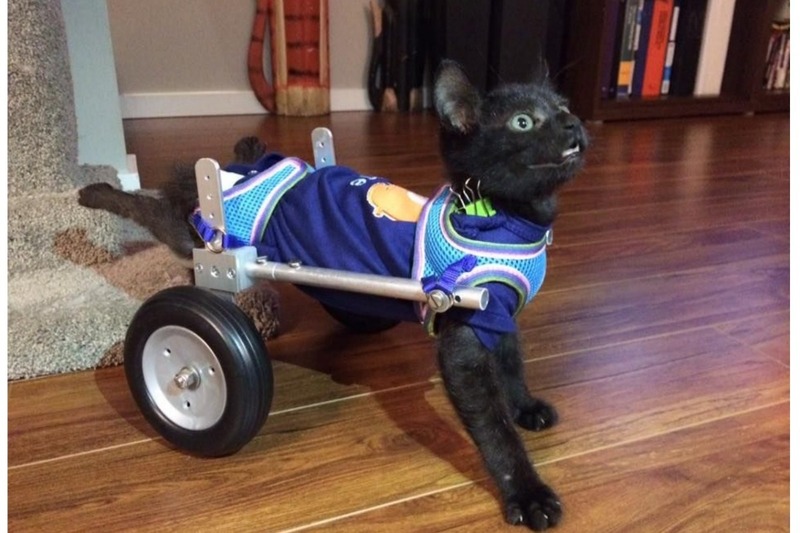 This sweet boy was found as a paraplegic at only 4 weeks old. He was going to be euthanized at another shelter but we took him on as we believed her deserved a chance. He needed to be bottle fed and was very sickly as a baby. We fundraised tirelessly for this boy so that we could get him a wheelchair and have a neurologist look at him. He was adopted into a loving home at 6 months old after searching tirelessly for someone who would accept him and all his imperfections. 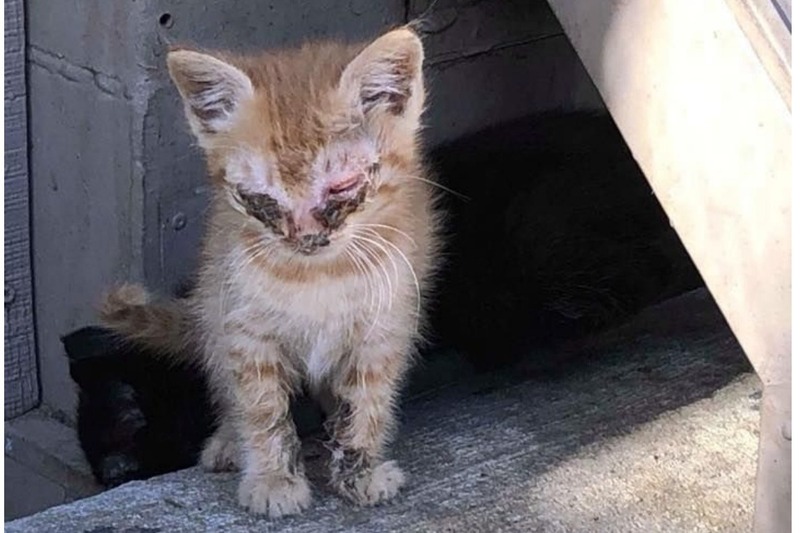 We rescue many cats and kittens off the streets that have been forgotten and have nowhere to go. Many are very sick and need lots of medical care. 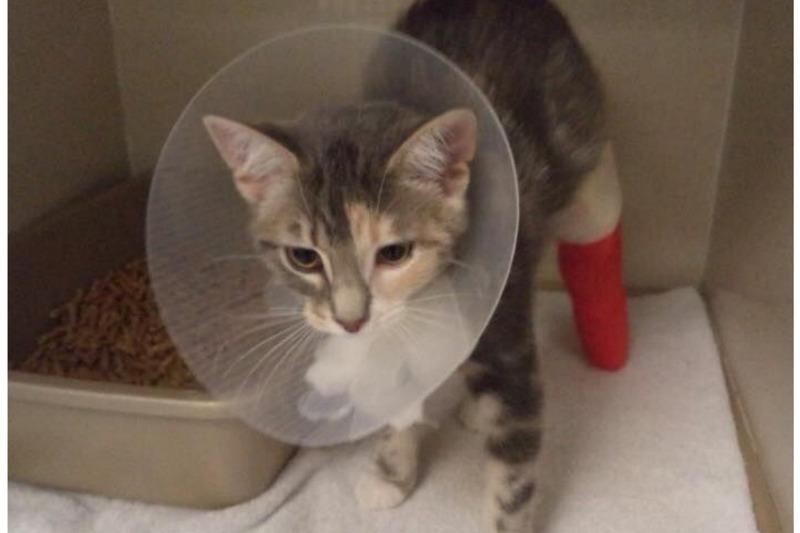 This sweet girl names pebbles was dropped off at a vet to be euthanized as she had a broken ankle at only 12 weeks old. It needed surgery and multiple casts. Without donations this would not have been possible to save her. This 2 year old girl was hung with wire from a tree. 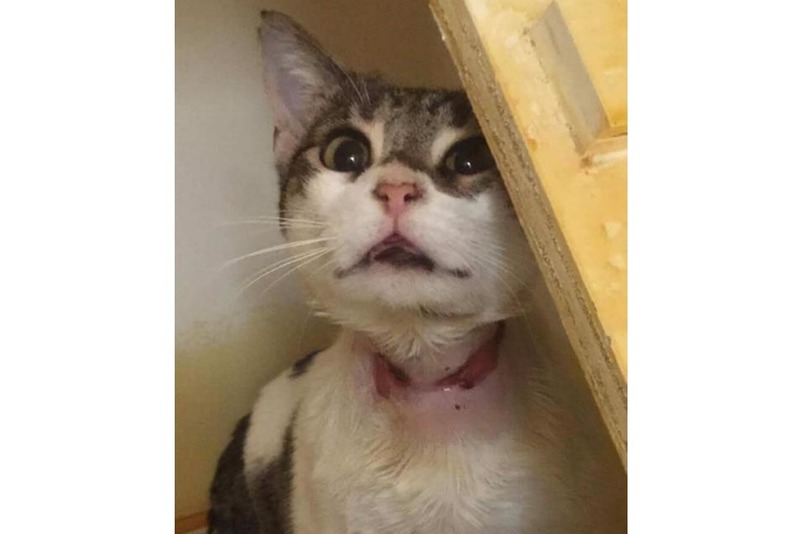 It is a miracle she survived, She had very deep wounds all around her neck that took months to heal. Multiple surgeries latter she was fully healed and adopted. Jelly bean had a badly ruptured eye that was very painful and needed to be removed. 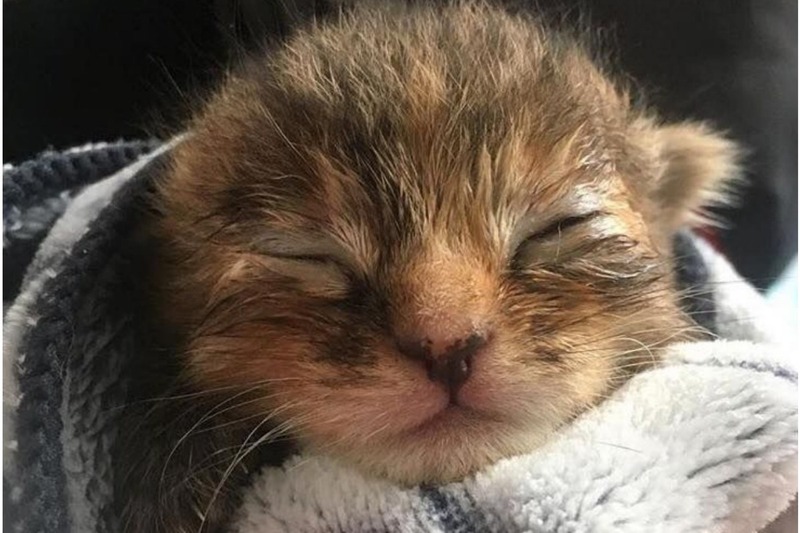 She was only 3 weeks old so her chances of surviving the surgery were very slim however she pulled through wonderfully, this is a photos of her at 6 weeks old and she’s turned into a beautiful scruffy kitten. This little one was found without a mom and was carefully bottle fed and raised by a foster mom before she got adopted. Without donations none of these rescues would have been possible. It is thanks to you that we are able to continue our work to help those who have been discarded. Please continue to support our work so we can continue to make a difference. From the whole Catoro family, we want to say thank you for supporting our business through GoFundMe and showing interest in coming to visit our store! Christmas is right around the corner and our project is underway! In the meantime, winter will be hard for many stray cats that we can't get to just yet, many will not make it through. We humbly ask for any support you can give in sharing our GoFundMe page, or Cat Therapy and Rescue at this time. 75% of money donated to our page will go towards building a safe and comfortable home in our private shelter within the cafe. The other 25% will go directly to CTRS in an effort to support their current urgent cases. As a bonus for being an early supporter, we want to thank you with a small gift. Please follow the QR code or the link below to redeem it. Have a great December! Hello fellow cat lovers of Vancouver! 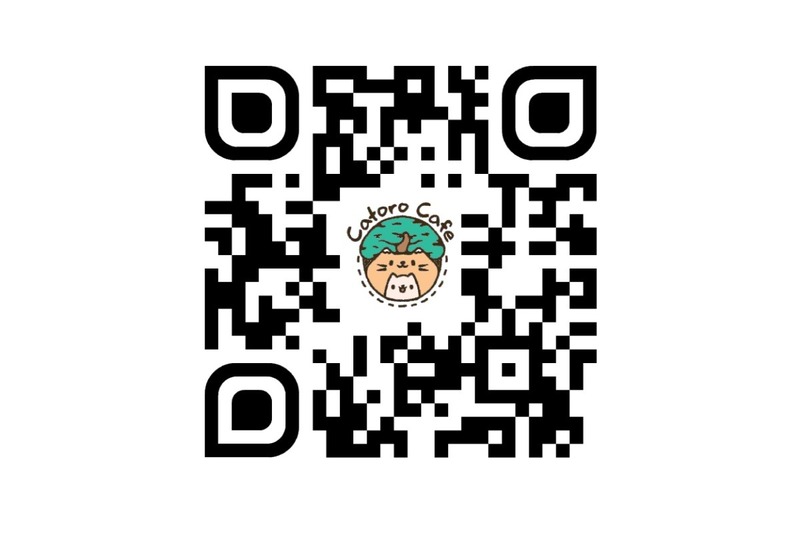 The whole team at Catoro Cafe wants to give a huge thank you to all those who have supported us so far by donating and also just spreading the awareness for our project! Here's a brief update on what we've done. 1) Location has been finalized and budgets have been set. 666 East Broadway is our guaranteed home for 2019! 3) We have two separate contractors we're working with, Hudson Contracting for the structural work, and Imagination Corporation for all of the theming. 4) Vancouver Coastal Health has approved our project and layout in the health and safety aspects. 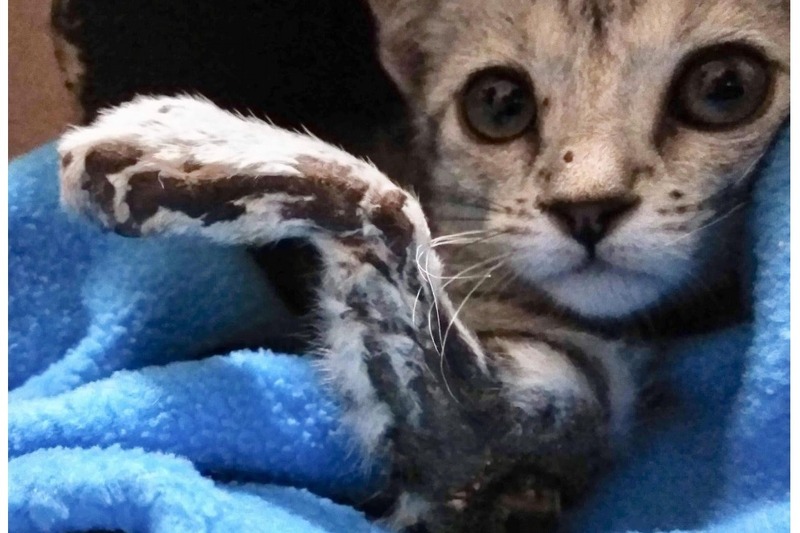 5) Rescue group partnership confirmed with Cat Therapy and Rescue Society. Here's what we're working on at the moment. 2) Vancouver city development application is underway and waiting for review. 3) Construction commencement eta 1st or 2nd week in December. We are still far behind our goal of $30,000 to fund the building of the shelter space within our store. There is many expensive commercial grade pieces of equipment we need to purchase in order to facilitate having the high volume of cats each month, keeping them healthy and safe. You won't want to miss our latest contest! Between now and Feb 28, 2019, Enter our contest for a chance to win 1 of 3 "ONE MONTH UNLIMITED" passes for Catoro Cafe in 2019. All you have to do is share. The more shares you have on our leaderboard, the better chance you have to win. Top 3 leaders take it! Check our our link below and start sharing today! !